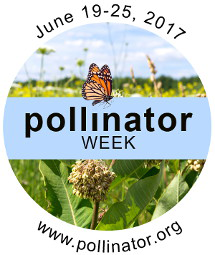 Visit the Garden to celebrate National Pollinator Week. Ten years ago the U.S. Senates unanimous approval and designation of a week in June as National Pollinator Week marked a necessary step toward addressing the urgent issue of declining pollinator populations. Pollinator Week has now grown into an international celebration of the valuable ecosystem services provided by bees, birds, butterflies, bats and beetles.